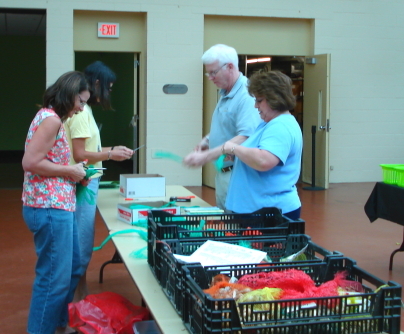 Judy, Lynn, Debra, and Debra's husband are busy tagging and bagging bulbs for the sale. 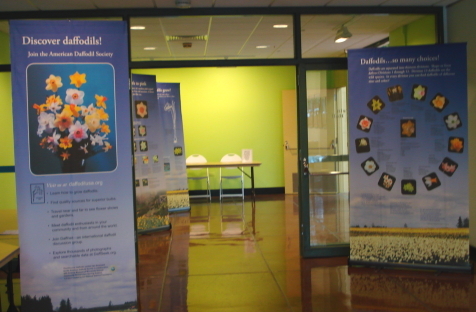 ADS Banners welcome visitors to the Daffodil Bulb Sale. All the Daffodil Bulbs are sorted and ready for the Annual Bulb Sale. Peter is busy shopping for some daffodil bulbs. Debra, Peter, and Beth helping out at the Daffodil Bulb Sale.